A huge and heartfelt thank you for the great interest in this reading! We are overwhelmed by the numerous inquiries and ask for your understanding that the tickets were sold out within a few minutes due to the strictly limited seating capacity in Gugging (140 seats). For all those who unfortunately did not get tickets, we offer the possibility of a waiting list (via email: special.edition@galeriegugging.com), in order to be able to inform in time in case of a possible further reading date. The sixth edition of the extraordinary concert & event series “gallery gugging special edition” promises nothing less than to become a great, multimedia art experience with international flair. This is ensured by a literally breathtaking artistic combination: Klaus Maria Brandauer and David Bowie – two true giants in their respective genres. And the focus is on Gugging art and its creators. In addition, this unique reading will be accompanied by two outstanding sound artists. 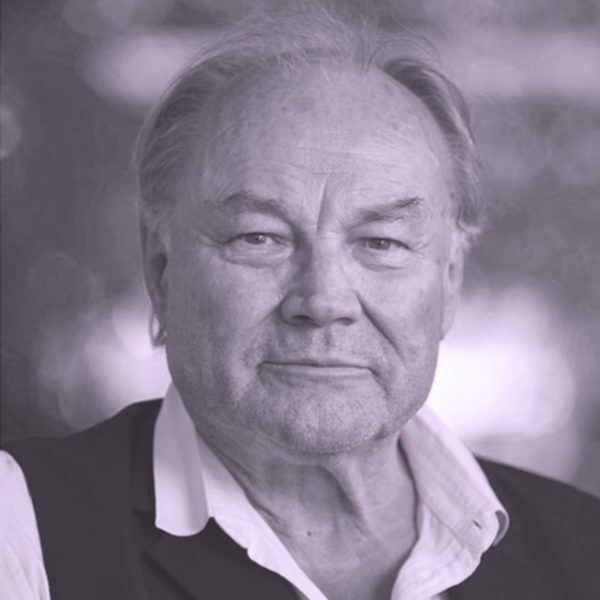 Klaus Maria Brandauer, one of the most important and fascinating Austrian actors and directors of the last decades, who besides his irrepressible passion for the theatre can also refer to a highly successful Hollywood career, reads selected lyrics from one of the greatest and most versatile pop stars in music history, David Bowie. These are the texts that were inspired by the Gugging artists and the place itself. Since a photo exhibition in November 2017, which attracted much media attention, it has also been known to a wider public that the art-minded pop superstar David Bowie visited the Gugging artists in person several times in 1994 in order to be inspired by their works and especially their independent way of working. With the impressions gained on site, which he and producer Brian Eno worked up on the experimental album “1. Outside” (1995), David Bowie once again reinvented himself and surprised his fans and critics. With the presentation of the texts by Klaus Maria Brandauer at the former place of encounter, the gallery gugging and intendant Michael Martinek focus on the result of this artistic exchange and the timelessness of Bowie’s lyrics. The two sound artists Jana Irmert (D) and Runar Magnusson (IS) frame Klaus Maria Brandauer’s reading with sound and gently take the listeners with their live generated electronic-experimental soundscapes into intermediate worlds inspired by Bowie texts.